In a series of coordinated action this afternoon, Zero Carbon activists sprayed removable chalk paint on the Corpus Christi clock, and staged a die-in in the University’s administrative building, Old Schools. The words, ‘Wake up to climate change’ were painted in removable chalk paint on Corpus Christi’s Cambridge landmark, catching the attention of passersby. The paint was cleaned from the clock’s glass casing around half past 1, and has now been fully removed. At Old Schools, members of Zero Carbon lay on the floor of a reception area in the building with campaign banners draped over them. The action comes on the Fossil Free National Day of Action organised by student campaigning network People & Planet. Campaigners also participated in the action at universities including Oxford, Edinburgh, SOAS, and UCL. On Friday, activists marched through central Cambridge calling for the University and its constituent colleges to cut ties with the fossil fuels and arms industries. 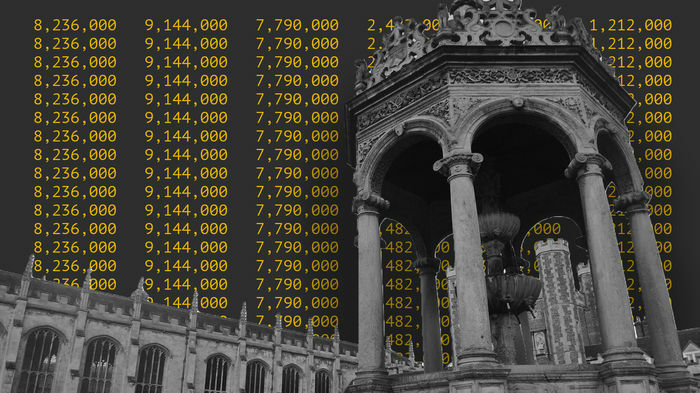 This followed a Varsity investigation earlier this month which revealed that seven Cambridge colleges have holdings totalling £20.7m in corporations engaged in oil and gas exploration, production and refining. The Old Schools building saw a student occupation in March this year in the middle of a national 14-day staff strike against university employers’ changes to their pensions. Students occupied the building for a total of five days. Recap: What was Council's decision on divestment in June? University Council's landmark decision on divestment, passed in an extraordinary meeting of Council last month, decided against any commitment to full (or partial) divestment, and rejected recommendations from its divestment working group that it eliminate all remaining indirect investments from tar sands and thermal coal, the most pollutive industries in the sector. It also decided against adopting the recommendation by its divestment working group that it allocate 10% of its endowment specifically into Environmental Social and Governance (ESG) Funds, opting instead to hire an 'ESG officer' to be employed in the Investment Office.